Yesterday, apart from getting my result for M359, I got the result for my MU120 CMA42 (computer marked assignment). I scored 88% but today it is 92%. It looks as though for one question there are 2 answers, not 1, and I have gained marks for correctly answering the question when previously it was marked incorrect. M359: Was it worth it? The results for M359 have just been released and I got a grade 3 (67%), this being my lowest grade over the 4 years that I have studied with the OU so far. To say I am disappointed would be an understatement especially as I obtained an overall score for my assignments of 94% and spent a month revising for the exam. I know I have an issue with exams but I strongly feel that the layout for the M359 exam had a detrimental effect on my final result. This appears to be the opinion of a number of other students who also got high assignment scores but were let down by the exam. With only 2 courses remaining I am still in with a chance of getting a 1st for my degree (according to the online degree classification calculator, Leningrad), it just means that I am going to have to work extra hard as I will require distinctions for both of the courses. If I slip up on either I will probably end up with a 2.1 classification. The course result for M359 should by available by the 14th Dec, and for previous years results have sometimes been released 1 or 2 days earlier. So there I' am checking my student home page every hour to see if the result for M359 has been released when I notice "Your course result should be available by Friday 21 December 2007". No explanations as to why, and I now have to wait an extra week. As a fellow student pointed out, perhaps this is the final errata for the course, with the final results placed in an appendix at the end of our course record page. Having started Unit 11 "Movement" I have been struggling to get my head around velocity, and how it differs to speed and acceleration. After having done some further research on the net I came across a web-site called The Physics Classroom which not only had an understandable lesson on "Speed and Velocity" but also some simple animations that clearly shows the difference. Observe that the object below moves in the positive direction with a changing velocity. An object which moves in the positive direction has a positive velocity. If the object is speeding up, then its acceleration vector is directed in the same direction as its motion (in this case, a positive acceleration). The "ticker tape" shows that each consecutive dot is not the same distance apart (i.e., a changing velocity). The position-time graph shows that the slope is changing (meaning a changing velocity) and positive (meaning a positive velocity). The velocity-time graph shows a line with a positive (upward) slope (meaning that there is a positive acceleration); the line is located in the positive region of the graph (corresponding to a positive velocity). The acceleration-time graph shows a horizontal line in the positive region of the graph (meaning a positive acceleration). Vote for JT on the 9th! James Toseland, World Superbikes Champion 2007, is one of the ten final contenders for this years "BBC Sports Personality of the Year" award. Vote for him on the 9th December. Toseland showed he loves life in the fast lane as he regained the World Superbikes title. Reaching speeds of up to 200 miles an hour - he set the pace from the start in the 15 round championship. The Honda rider won a race in each of the first five meetings, and treated home fans to a first career double at Brands Hatch. After his second championship win, he moves to Moto GP in 2008. Having just seen via John Naughton's blog that you can rate the readability of a blog, I thought I would give it a go. Now this could be deemed as being good as you my audience must be an intelligent bunch of people to keep coming back and reading my blog. On the other hand it could be bad, in other word's my English is dire and I am using to many technical terms. Hmmm??? On Tuesday I got the result back for my first MU120 TMA. Although I got 95% I lost 3 marks through stupid mistakes in part 1 of the TMA. 1 mark was for saying one word when I meant a different word, and the other 2 were for not spotting that Excel hadn't formatted the x-axis scale on one of the graphs correctly. I am now half-way through the course, having completed units 1 - 9, CMA's 41 & 42, and TMA's 1 & 2. If I am able to keep this pace going then I should have the whole course completed by the end of January. The thing is that OU courses have a habit of really increasing the learning curve at the half-way point. Fingers crossed that it isn't to steep for MU120. The BBC on their news web site has a fascinating interview with Dr. Moore. In April 1965 a 36-year old electronics buff jotted down his thoughts on the future of the juvenile silicon chip industry. 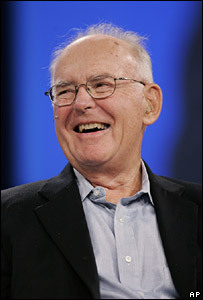 Writing in a "throw-away" journal, Gordon Moore accurately imagined a future filled with mobile phones, home computers, and even intelligent cars. But it was a much more prosaic prediction that has come to dominate his life and the industry that he helped found. "I could see a change coming that the electronics were going to get significantly cheaper," says the co-founder of Intel, the largest maker of computer chips. In the article in Electronics Magazine, he predicted that the number of transistors on a silicon chip would double every year for ten years. Last Wednesday I attended my second tutorial for MU120, with the main theme for the evening being statistics. I also handed my TMA01 part1 into my tutor. Although this was just over a week early, as the cut-off date is the 25.Oct, I didn't want to have to worry about it being delayed due to the recent postal strikes. Having completed unit 2 "Prices" I started unit 3 "Earnings" today. With the next tutorial being the 31.Oct I am planning to hand in my TMA01 part2 then. At present I am enjoying the course, with it not being too taxing and am on schedule to finish it by the beginning of Feb 08. We will have to see if I can keep to my planned schedule. Why the rush? Well I want to minimize the overlap with M450 which officially starts in Feb 08. 1. My student homepage said that this material was not going to be dispatched until 16.Nov. 2. DHL delivered the package in the evening. The one improvement the OU could now make with their dispatching of materials is too not pack them so tight. When I unpacked the package last night I discovered that the audio cd cover had broken, and this is the second time this has happened in as many deliveries. On Sunday 7th October a certain Mr. Lewis Hamilton did not finish the Chinese F1 Grand Prix, thus failing to secure the Formula One championship. Yet on the same date in another part of the world [Magny-Cours France], a Britain did win a motorsport championship. 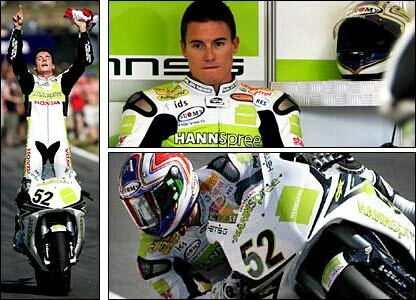 James Toseland won the World Superbike (WSBK) championship, and this was his second time with the first being in 2004. The point is that although Lewis's failure in China was extensively covered in the media, James winning the WSBK championship had no television news coverage and only warranted a couple of small paragraphs in some of the daily newspapers. World Superbikes is a far more entertaining motorsport than F1, with plenty of drama, lots of overtaking and races not decided upon by pit strategy. Plus in the UK we have the added advantage of having 3 championship rounds , Donington, Silverstone and Brands Hatch. Tuesday last week (9.Oct) I took the M359 exam. I haven't written about it until now as I came away from the exam very unhappy. The reason for this was the layout of the exam paper. Although I was aware that for the 12 short questions we had to place our answers in the exam booklet itself in spaces provided directly after each question, I did not appreciate what a pain this would be. Each question tended to be a piece of description followed by 2 or 3 sub-questions, and the problem lay in if the question stretched over more than one page. This meant that I had to keep flipping backwards and forwards between pages, which was very time consuming. The worst culprits were questions 6, 7 and 8, as each of these questions referred to an appendix at the end of the exam booklet. I am not the only one who feels this way about the exam paper, as there has been a general outcry from a lot of students concerning the layout, with a number of us making official complaints. In conclusion the layout of the exam paper made a stressful situation even more stressful, wasted time and has cost me marks. I now just have to wait until the 14.Dec to find out what my final grade will be. We must be mad, it is 4:40am and we are up watching the qualifying for the Australian round of MotoGP. Attended my first tutorial for MU120 last night. In total there were 5 of us (including the tutor). The evening was split into 2, with the first half covering course admin aspects, such as TMA's and support, and the second half we had to answer 6 puzzles, some of them being quiet fiendish. From now until Christmas the tutorials are every other week and it is my intention to attend them all unless something unforeseen turns up. According to today's Metro this video "has been branded culturally insensitive". Yet I think it is a very good and amusing piece of animation from Kangoo Animation, an animation studio in New Zealand. "Please indicate below the single course that most closely relates to your chosen project topic"
"Yes it is possible for you to choose a project based on more than one of the level 3 computing courses and indeed we hope that people will do this, so your idea of basing a project on M301 and M359 seems excellent." This for me is really good news. The course result for M263 is now available, and to my amazement I got a Distinction. Well chuffed considering how concerned I was after the exam with regards to running out of time. After I have completed M359 I will only need 90 points for my degree. This equates to three 30 point courses and today I registered for 2 of them. For my winter course I have decided to do MU120 - Open Mathematics, for a number of reasons. The primary reason being that I want to do a course that I can complete as quickly as possible and with MU120 not only is it a level 1 course but also there is no exam at the end of the course. Why to I want to do a course as quickly as possible? Well my main course for next year will be The Computing Project M450 and I want to give this my full attention without any interruptions from any other courses. Had a weekend off from OU studies this last weekend as we were at Donington for the British round of the MotoGP. Had a thoroughly good time even though Valentino didn't get on the podium due to his tyres deteriorating during the race as the track got drier. According to my student home page the results for M253 are supposed to be released on Friday 22nd June, yet at 4pm this afternoon (20.Jun) the results were released two days early. No more worrying that I might have to take this damned course again. Now I only have 5 courses left, including M263 (awaiting result) and M359 (currently doing), until I get my degree. Well it’s been just over a month since my last blog entry, so I thought I had better give an update on what has happened recently. The reason for the large gap between entries has been due to me revising for the M263 exam, which took place on Monday (11.Jun). The exam was split into 2 parts, with part 1 being 14 short questions and part 2 being a choice of 2 of 4 long questions. Part 1 seemed to sail-by and until I hit question 13 I thought that I would have plenty of time for the long questions. But question 13 was to do with Proof, and this particular subject has been the only one in the course that I have not been able to get to grips with. After making several failed attempts at answering the question I thought I had better move on, and it was at this point I realised that I only had 70mins left to complete part 2. No worry that’s the amount of time the course team reckoned that we should take to answer part 2. Yet there are 4 questions, each taking up an A4 sheet, to read through before choosing which 2 to do. I dived straight into the database question, and got that completed in 35mins, although I missed part b because it wasn’t database related. I then started the second long question, and with out reading any of the other questions I went for the one that contained some programming. Managed to get the 2 implementations completed (a standard function and a recursive function), albeit I was running out of time fast and my hand writing was getting sloppier and sloppier. Whilst the papers were being collected I managed to top up points to the parts of questions that I had missed and unfortunately even if I get all my answered questions correct I will be just under the 85% needed for a distinct, so therefore I am now hoping for a grade 2. Prior to the exam I had the final TMA for M263 to complete, which did slow down my M263 revision a bit, but it was worth it as I managed to get 85% even though I didn’t complete it all due to the Proof questions. With regards to M359, I basically had put this on hold except for completing TMA02 (got a mind-blowing 100%), attending 2 evening tutorials and arranging a self-help group meeting (30.Jun). Now I have to get back into M359, but at least I can give it 100% of my time as opposed to having to split the time between both M359 and M263. Yesterday I found out that I should get my final result for M253 on Friday 22.Jun. It will be nice to finally find out what I got, which is hopefully a pass. Apart from a busy month OU wise, as a birthday treat for my wife, we went to Le Mans for the day on the 20.May for the French round of the MotoGP. Even though it rained during the main race and took us 3:30hrs to get out of Le Mans, we had a very enjoyable day. M263: Unit 14 - Brick Wall!!! Well it's finally happened. I just don't get unit 14. I have tried working my way through questions 4, 5 and 6, by following examples in the course text and get about halfway through answering the question when bang I hit a brick wall. It looks like I will for the first time ever not be sending in a complete TMA. What is doubly frustrating is this is the first section in any course text for any course that I have not fully comprehended. M359: A Lack Of Response! 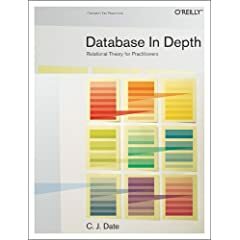 Having just started Block 3 “The database language SQL” I am really enjoying M359. Yet there is one aspect that is really frustrating and that is the lack of response within the M359 FirstClass conferences from OU staff (i.e. the course team, tutors and conference moderators). A number of messages have been posted from students where a response from the OU staff would have helped a lot but none has appeared. Yesterday I posted a question, “For M263 if we want to say that B does not determine A we write it as B /~> A. Is there an equivalent in M359?”. I am not going to hold my breath. Although this is a level 3 course and we are expected to do a lot of thinking for ourselves, this is the first presentation of M359 and for some of the students this is their first OU course. Therefore I am finding the lack of response very poor. Greg Billingham is running the London Marathon, for Children with Leukaemia, in slow motion and has just gone passed the office where I work. His plan is to complete the marathon by noon on Sunday 29th April. A description for M450 “The Computer Project”, the replacement for The M301 Project (TM421), The M358 Project (TM422) and The M360 Project (TM427), is now available. At present I am planning to do this course next year. Got my result back this evening for M359 TMA01. 98% and I am really pleased especially as I thought that I would loose a substantial amount of marks for question 1 at least. I have made a start on TMA02 and managed to completed question 1. By the way I forgot to mention that a couple of weeks ago I received "Block 3 The database language SQL" in the post. The pdf version does not appear to be available for download yet. Got my result back yesterday for M263 TMA03. 97% and I am well chuffed, especially as this was one of the most taxing TMA's that I have had to do. M253: “Team Working in Distributed Environments” is a 10 point level 2 course costing £260. The teams tend to be run on a democratic basis with each member taking it in turn to be for example project leader. Can you imagine participating in a real life project where the team leader changed every 3 – 4 weeks? M253 is extremely time-consuming. You will end up spending more time on this course then you will on a majority of others. I started M253 with a lot of enthusiasm but as the course progressed I found myself having to keep motivating myself to keep going, and towards the end I was getting quiet depressed, continuously looking for the “light at the end of the tunnel” when the course would be finished. Is the course good value for money? No! 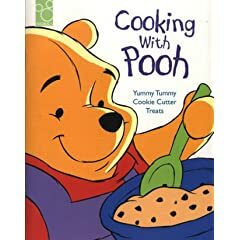 Is the course worth 10 points? No! Not for the amount of effort required. Would I recommend M253? No! Unless it is mandatory for your degree. DO NOT DO M253 UNLESS YOU HAVE TO!!! Yes I know that it has been a while since my last posting but I have just had a hectic 3 weeks. I have had to submit the ECA for M253 (26.Mar), TMA03 for M263 (02.Apr) and TMA01 for M359 (04.Apr). Oh the joys of doing 3 courses at the same time. Fortunately I have now finished M253, thank god, so I will hopefully not be in the same situation again especially as it did get a bit stressful. Of the 3 I enjoyed the M263 one the most, even though it was the hardest and required a lot of thought. The M359 TMA was ok except for question 1 which was a 600 word summary on how DBMS’s implement the enduring issues in data management. And what can be said for the M253 ECA? Only one word… HORRID!!! On Thursday I scribbled down some notes on how to solve one of the questions for M263 TMA03, yet I soon discovered that my notes were not as good as I thought. Why? Well on Friday I tried to type up my notes but hit a problem, I could not resolve one item of reasoning which meant that the remainder of the question wouldn’t work out. I spent an hour searching through Unit 10 and the course handbook, but to no avail. It was then that I remembered that the solution to resolving this particular item was actually in the TMA, and everything else then fell into place. To say that I was annoyed with myself is an understatement. In future I must make my scribbled notes a lot clearer. M263: Schedule Blown to Bits! As I have previously written I have been managing to keep to my planned schedule for M263. But Block 3, units 9 – 12, has blown it all to bits! After reading through the Block 3 units I realised that I didn’t fully understand the information, so have decided to re-read them plus spending extra time on the activities and exercises. This is proving worthwhile as I am now getting a far better understanding of the material and the TMA03 questions are now not as daunting as they first appeared. On Friday got the results back for TMA02. Managed to get 98%, but rather annoyed with myself as I lost a mark through missing out a small part of a question. For Q3.d I missed the part that said "It should also demonstrate that your implementation does not have side-effects" and this is doubly annoying as I had underlined the preceeding line about testing. In future I'll have to go over TMA's with a fine tooth comb and highlight any mark related points, before starting the TMA, so as not to miss them. Attended my first tutorial for M359 last night. It was at the University of Westminster from 7pm to 9pm. There were 3 tutors and 10 students in attendance. The main topic of the evening was an overview of the course. Apparently the course glossary should be available within the next couple of days. According to one of the tutors every TMA that is submitted using the eTMA system is automatically checked for plagiarism using a system called copyCatch. Apparently copyCatch Campus was developed in co-operation with the OU. This is interesting as according to my the copy of the "eTMA Student Guide" there is a warning when submitting TMA's that says "Please be aware that the University may subject your work to a computerised check for plagiarism", it does not say that every TMA is checked. Will have to look out for the warning message the next time I submit a TMA to verify exactly what it says. I have just purchased 2 books in the hope that they will aid in my studying of M359. They were recommended by one of the M359 tutors. TMA01 has finally been released 2 days later than originally scheduled! Still only 1 conference area available! Course website not complete yet! A delay in a number of additional documents! Although this is the first presentation of M359 and one must expect a few teething troubles, I get the distinct impression that we are in fact BETA TESTING M359. If this is the case are we due some form of special consideration (such as discount on our next course)? Sod's Law isn't it! Got home last night only to discover that I had received a welcome letter from my M359 tutor. M359 officially starts in 2 days time, Saturday 3rd February 2007, and yet there are still some items missing. Yet for all my previous courses the various FirstClass conference areas such as “tutor group”, “TMA discussion” and “general chat” have been made available from onset. Normally by now I would have received some form of communication from my allocated tutor in the form of a welcome note giving his / her details, a brief explanation of the course expectations and hoping that I will enjoy the course. So far I have not heard anything, not an e-mail or snail-mail. I appreciate that this is the first presentation of M359, but some of the aspects of this course (FirstClass conference area and tutor communications) are the same as those for any of the other OU computing courses I have participated in. So why haven’t they been implemented yet? It appears that Microsoft are dropping their patent application for "Object Test Bench". See here Movement - The Latest on The Microsoft Patent Application. This is most excellent news! Although I use Microsoft product quiet extensively I have never entered into the Windows vs Linux vs OSX war as I believe each OS has its own merits, and I most certainly have never used the term Micro$oft. Well until now. Why? Because Micro$oft could potentially stop the development and distribution of BlueJ. BlueJ is a fantastic IDE for the teaching of object-oriented programming using Java and is used extensively by educational establishments, including the OU (see M255). 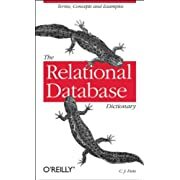 One of its key benefits is that enables you to create instances of objects, examine these instances and invoke methods on them, without having to run the whole program that is being developed. Micro$oft has incorporated into Visual Studio a feature called “Object Test Bench” which appears to be a straight BlueJ copy, and Micro$oft have now made a patent application for “Object Test Bench”. According to the course news there are some materials missing from the supplied course CD, due to timing issues. The missing materials are 5 pdf's and can be found on the course website via the "copies of CD-ROM files" section. The supplied errata replaces pages 14-17 of Block 1 as they were incorrectly printed during production. The M359 software is easy to install and I have not experienced any problems with it after installing it onto 2 desktop PC's and a laptop. Both the FirstClass conferences (well 1 conference area so far) and the course website are now accessible as well. Getting a bit nervous as I haven't as yet received any course materials and M359 is supposed to start on 3rd Feb. With this in mind I have just contacted the OU's materials dispatch centre and they informed me that there has been a delay in them receiving the materials over the Christmas period. They reckon that the materials will be dispatched by Thursday of this week (18.Jan.07) and that I should then receive them within the next 5 working days. Lets wait and see! I have just received a letter from the OU confirming that I have passed the "Diploma in Computing". So now apart from being able to put "Cert IT & Comp (Open)" after my name I can now also put "Dip Comp (Open)" as well.